Last week we were all just minding our own business when out of nowhere The Last Jedi Vanity Fair photos & article dropped and made us all completely freak out. 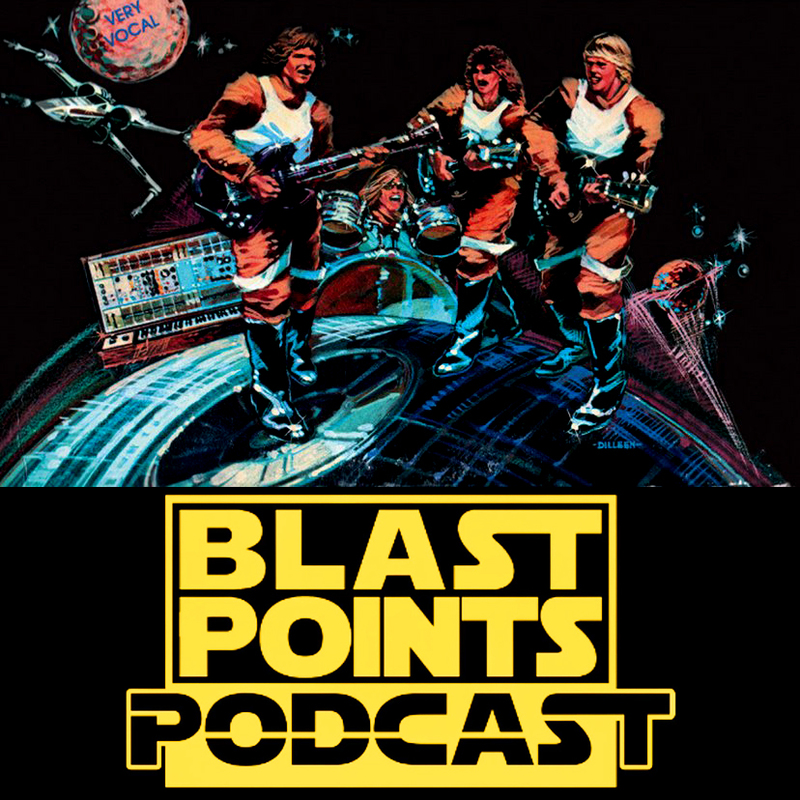 Have no fear as your trusted Blast Points hosts, Jason & Gabe are here this week to break it all down and do what they can to make sense of it all. Aliens wearing lederhosen, why Kylo may not need a mask anymore, Hux’s hairdo, the real reason Phasma has a spear, will Luke & Leia be reunited and more. Plus! before that there’s talk of some very interesting faster, more intense spy photos from the set of the upcoming Han Solo film! And if that wasn’t enough there’s a Phantom Menace question from kids, an amazing Star Wars song sent from a fan, listener reviews and so much other fun stuff! So grab your tap dancing cane and your lima bean buddy and celebrate the love with BLAST POINTS!! 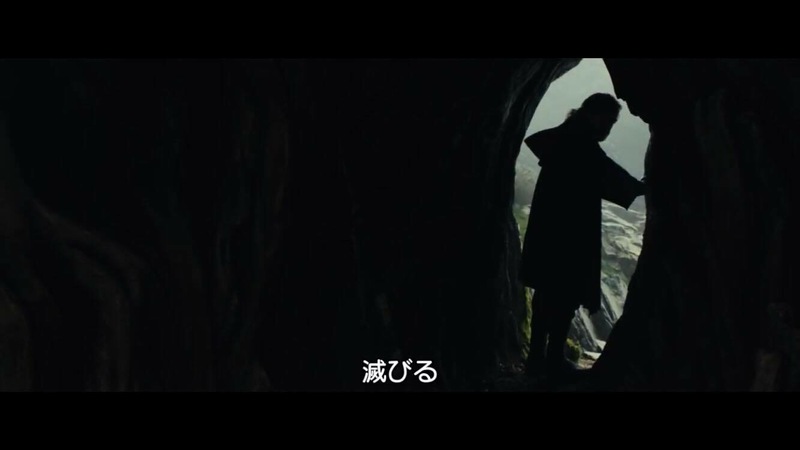 Editorial – I only know one truth, viewing The Last Jedi teaser in Japan is very interesting. I only know one truth, viewing The Last Jedi teaser in Japan is very interesting. The two previous Star Wars Celebration extravaganzas were jammed pack with exciting announcements that left fans in a frenzy ahead of the upcoming releases Disney has had in store for us following its purchase of Lucasfilm and rejuvenation of the Star Wars franchise. The infamous “Chewie, we’re home” line from the very first full length trailer for The Force Awakens at SWC 2015 and the gripping behind-the-scenes look at Rogue One in the teaser trailer shown at SWC Europe last summer are probably seared into the minds and memories of legions of Star Wars fans around the world. SWC Orlando in 2017 did not disappoint, providing fans with a beautiful tribute to Carrie Fisher, a gorgeous retrospective on the franchise’s 40 years of history, and last but arguably the most anticipated of them all, our first real look at The Last Jedi. It was the early hours of the morning here for me in Japan when I saw the trailer via the online live stream. I had responded to a call I had seen put out on Twitter by other Japanese Star Wars fans to live tweet The Last Jedi panel in Japanese (#SWC翻訳) so that fans here watching the live stream could get a better idea of what was being discussed. For many of them, the English language is not necessarily their forte, and given that the live stream was not subtitled, live tweets such as the ones I and others put out were their only means to better understand the panels. I still vividly remember the profound impact of Luke’s statement at the end of the trailer: “It’s time for the Jedi to end.” Right after the trailer ended I tweeted out in Japanese “Luke said the age of the Jedi should come to a close! Is this the meaning behind the last Jedi? 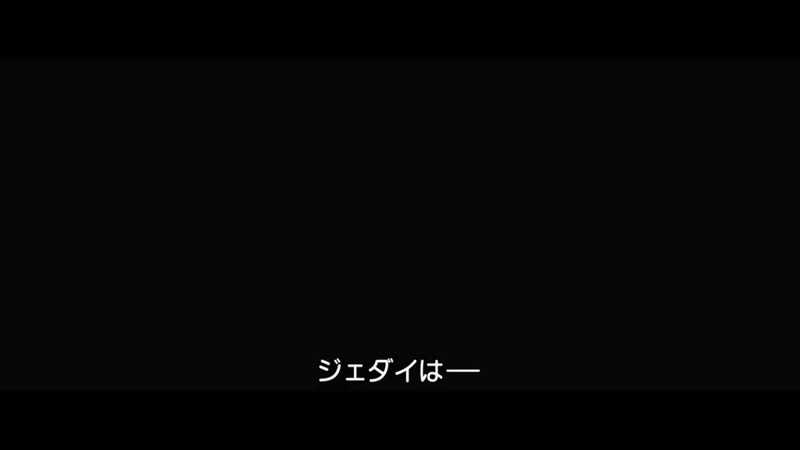 !” After making this tweet, I began to wonder if the Japanese subtitles for the trailer would resemble what I had written in Japanese. In doing these live-tweets in Japanese, I was constantly reminded how blessed Star Wars fans in the English-speaking world are because we get the information right away, and perhaps more importantly, in an “unfiltered” form. However, for speakers whose native tongue is not English, they must wait for this information to be digested and then conveyed to them via the filter of “translation”. The quality of this filter can have a major impact on how these fans perceive the same things we see and “hear” in English. A good translation ensures that they almost assuredly respond to what they see transpiring on screen in much the same way native English speakers do, but a “dodgy” translation can give rise to interpretations that stray far from what the creators intended for us to derive. When the panel came to a close, I began to wonder about the quality of the subtitles we would get for the Japanese version of the teaser that would surely drop the next morning. My hunch proved to be right on the money, and when I had a few spare minutes after taking care of some things at home in the morning I sat down to watch the trailer. The first thing we hear Luke say is “Breathe…just breathe”. I initially expected a fairly straightforward translation, so I was surprised by the liberties the translator took with a rather simple piece of dialog. 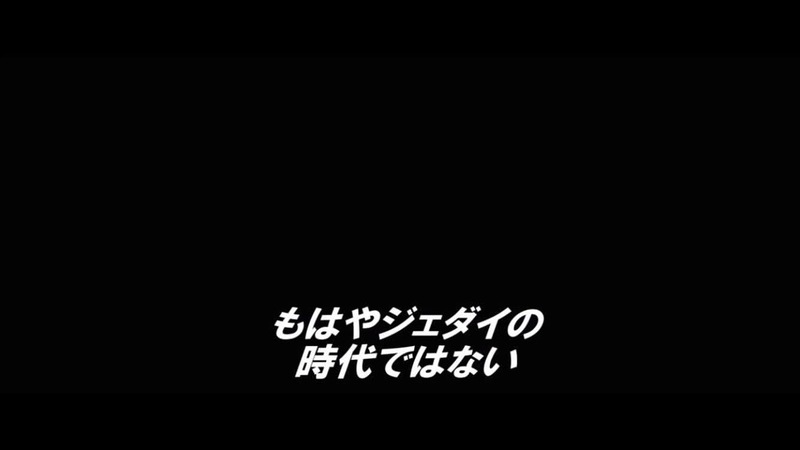 The subtitles read “落ち付け…心を鎮めるのだ (Ochitsuke… Kokoro wo shizumeru no da), and when reverted back to English, we get something like “Relax… and still your mind.” Meditation requires one to empty their mind and heart of thoughts in order to relax and focus, and one of the most effective means for doing that is by taking deep breaths. Just as Luke did with Yoda on Dagobah, we can probably assume that Rey is learning how to meditate on the Force, so in this context the translation fits because it reflects the implied meaning of what Luke is saying. “So far, so good” I thought until we came to the next line, “Now, reach out.” Here the Japanese was merely “そうだ。それでいい。(Sou da. Sore de ii).” This translation left me scratching my head a little, for the subtitles merely say “That’s it. Just like that”. While not completely off, this translation simply fails to convey the fact that Rey is supposed to reach out with the Force. Here, we have no reference of the Force at the all, and thus the viewer does not fully understand what Luke is telling her to do. The next few lines were more words rather than full sentences, and the subtitles faithfully translated these verbatim. We then arrive at the last line of the trailer, the one that has the Star Wars fan community buzzing with speculation and trying to read in to what Luke says: “I only know one truth… It’s time for the Jedi to end.” When I first heard this line, I took it to mean that Luke—after of years and wondering and exploring the Force—had come to realize that it was time to call an end to the Jedi’s chapter in galactic history. The line “it’s so much bigger” in reference to Rey’s mentioning of the light and dark facets of the Force seems to reinforce this interpretation… implying that Luke has learned the Force is far more vast than the Jedi and Sith dichotomy. With these thoughts in the back of mind, the Japanese subtitles left me rather disappointed. Translation is by no means an easy task, requiring the translator to read between the lines and employ knowledge of the context to convey and preserve the original meaning as closely as possible. At the same time, the translator must also avoid reading too far into the text and adding their own interpretation. Star Wars makes this fine line even harder to walk, especially when it comes to something like a teaser trailer because the translator’s own personal interpretation could potentially mislead the audience or even reveal hints that were meant to remain undisclosed. 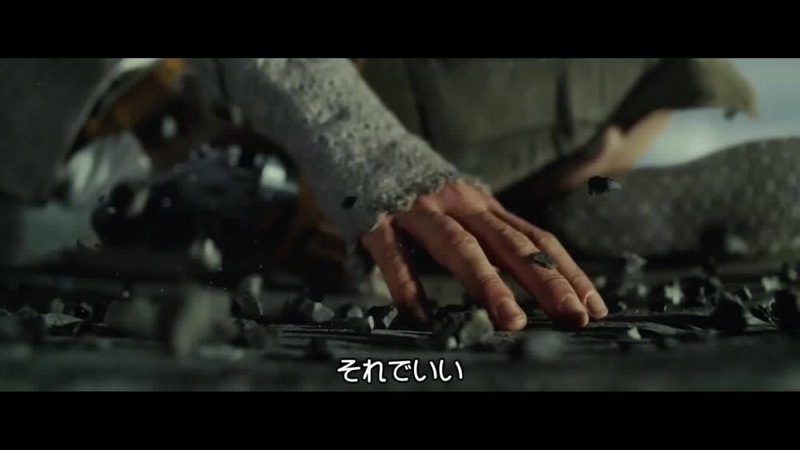 Despite these admitted hurdles, though, I came away feeling the Japanese subtitles revealed a lack of understanding of Luke’s current state of mind and the sequence of events leading up to his meeting with Rey. The Japanese reads “真実はひとつ。ジェダイは滅びる (Shinjutsu wa hitotsu. Jedi wa horobiru),” which translated back into English becomes “There is only one truth. The Jedi shall perish/be destroyed/fall.” The first part of the translation works to a certain extent, but smirks of an “absolute” statement that Obi Wan said only Sith lords were prone to make, ones which exclude other potential “points of view.” The Japanese verb used at the end, “horobiru”, is an intransitive verb that means “come to perish, to fall away into oblivion, to be destroyed.” However, given the words Luke says, I do not believe he meant that the Jedi would simply pass away and perish. The simple phrase “it’s time for” reflects his belief in the need to end that chapter and perhaps seek a new beginning. That implies taking action, presumably by Luke himself, something that the intransitive verb in Japanese fails to convey. I was curious to see if I was guilty of reading too far into the lines, so I posed this question to other Japanese fans on a Facebook Star Wars discussion board. I received a lot of positive responses from other fans, and nearly everyone said that I was right on point with my interpretation and critique of the Japanese subtitles. A few fans indicated that they were a bit frustrated by the translator’s desire to lend emphasis to the word “end”, claiming that it produced the opposite effect. One fan said that the word “horobiru” also produces the added implication of “everything falls to ruin”, which is not the case here because Luke does not equate the end of the Jedi with the end of all Force users. 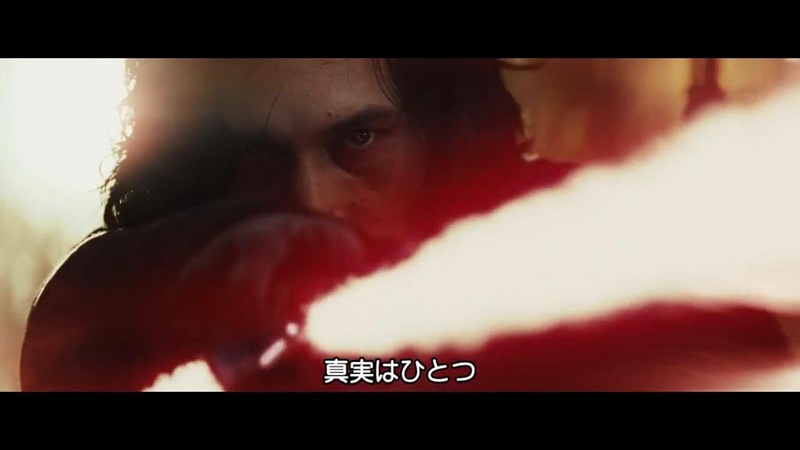 Another fan posited the theory that “the end” Luke is referring to could be somehow tied in with Kylo, while agreeing that the Japanese subtitles did not fit the context. In addition, the comments many of them left revealed an underlying sense of skepticism when it came to subtitles in Star Wars. A few people went so far as to say they completely ignored the subtitles of SW trailers because they 1) did not trust them and 2) did not want to let their interpretations be influenced by misleading translations. In reflecting on these comments, I once again returned to my original thoughts on the advantage English-speaking fans have in accessing the Star Wars franchise in its “unfiltered form”. Perhaps more importantly, though, I was deeply impressed by the simplicity of this tale and the power of the themes to speak to people all over world, and break through the obstacles language may pose in the process of relating the story. That alone is a true testament to the enduring legacy of the Star Wars saga and its deserved place within our shared mythology. Incidentally, a few days after I posed this question I noticed another version of the trailer posted on Youtube. The trailer that I and many Japanese fans first saw was the one put out by Disney Studios Japan. However, MovieNex (which releases Blu-ray + DVD + digital download packages of Disney films in Japan) also put out a subtitled version of the title on the 15th, but it has not been viewed as many times as the official Disney Studios Japan version. I am a bit intrigued as to why Disney would have two different subtitled versions, but I’m glad they do because the MovieNex one is far better in every respect. I can only hope more Japanese fans see this one, for the translation does the English original justice, especially the last line: “私が言えるのは一つだけ。もはやジェダイの時代ではない (Watashi ga ieru no wa hitotsu dake. Mohaya Jedi no Jidai de wa nai) .” Translated back into English, we are given a statement consistent with the interpretation many fans seem to hold: “There’s only one thing I can say (one thing I know)… It’s time to leave the Jedi in the past.” Come December, we’ll find out if that is truly the case. I can freely now admit that I have a problem. That problem is the teaser trailer for The Last Jedi. Now, I definitely do not have a problem with any aspect of that first look at the next chapter in the Star Wars Saga. My problem is that I just can not stop watching it and non stop thinking about it. I try to do work and all I can do is think about is that handful of brief images that were first shown to me at Star Wars Celebration. I try to clean the house and all I do is think about just what is happening there on Ahch-To. Ancient books about The Force in trees, weird tree caves, multiple islands… as someone who usually trips out about any kind of talk about the will of The Force, the whole thing has got me straight up bugging. Now this morning as I replayed the teaser in my head, as all normal people do, one moment and one line in particular really hit me. Rey describes her vision into the Force as seeing the light, darkness and the balance. As we hear the old master Skywalker say, “It’s so much bigger”, we are shown the beautiful and instantly iconic shot of Rey on edge of a mountain practicing with the saber of The Chosen One as Luke stands behind and above her watching on. In this moment, Rey and Luke are shown as being very small against the massive sight of the Ahch-To waters and mountainside. As I thought about this, my mind immediately went back to my college and my endless amount of art history classes I took and i realized the rest of my day may be shot. One of the more interesting classes was an Asian art history class where we looked at countless very old Japanese works of art where one of the overriding themes was that nature was always presented as being bigger and more powerful than people. In so many of the pieces my professor showed, if there were people in a piece they were tiny compared to the majesty of the wave or the mountain or the trees that were so often depicted in the art. Now we know the Force is an energy field created by all living things and it surrounds us, penetrates us and binds the galaxy together, right? As Luke may reference at the end of the trailer, the will of the Force in the future of the saga may be something bigger than any Jedi has ever recognized before, thus calling for a whole new way of thinking about and/or using the Force. This moment, at the side of the mountain perfectly speaks to that as an important as Rey and Luke’s story may be going forward, they are still very small next to the power of nature or The Force. Like Luke reminds us, “It’s so much bigger.” The true nature of the Force may be a greater power then any Jedi has felt before. 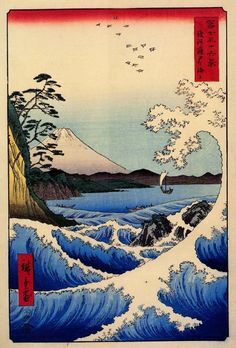 I admit, I’m getting carried away here but all that got me thinking too about some of the other important symbols in Japanese art like shape, balance, animals, birds, mountains and waves. The uneasy balance seen in The Last Jedi poster of Luke and Kylo’s faces with Rey’s gleaming saber of light separating the two. The combination of hard and soft lines in both Rey and Luke’s very grey costumes. The birds that rumored to be inhabiting the island with Luke. The mountain, which in Japanese art represents the unmovable and power almost being a symbol for The Force itself. 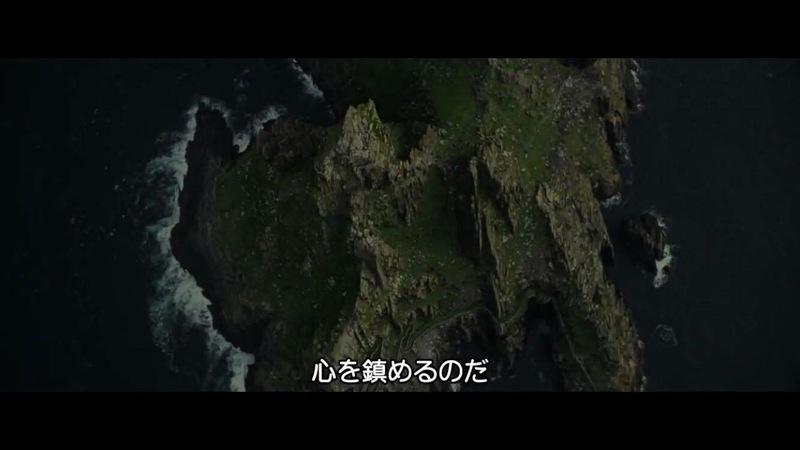 The waves that crash into the island, which Rey stares out to in teaser, representing power, strength and the very unpredictable aspect of nature. Rey, perhaps being very much the unpredictable new vessel for the Force which may have the power to move the unmovable mountain? STAR WARS! Starring William Katt, Terri Nunn & Kurt Russell! 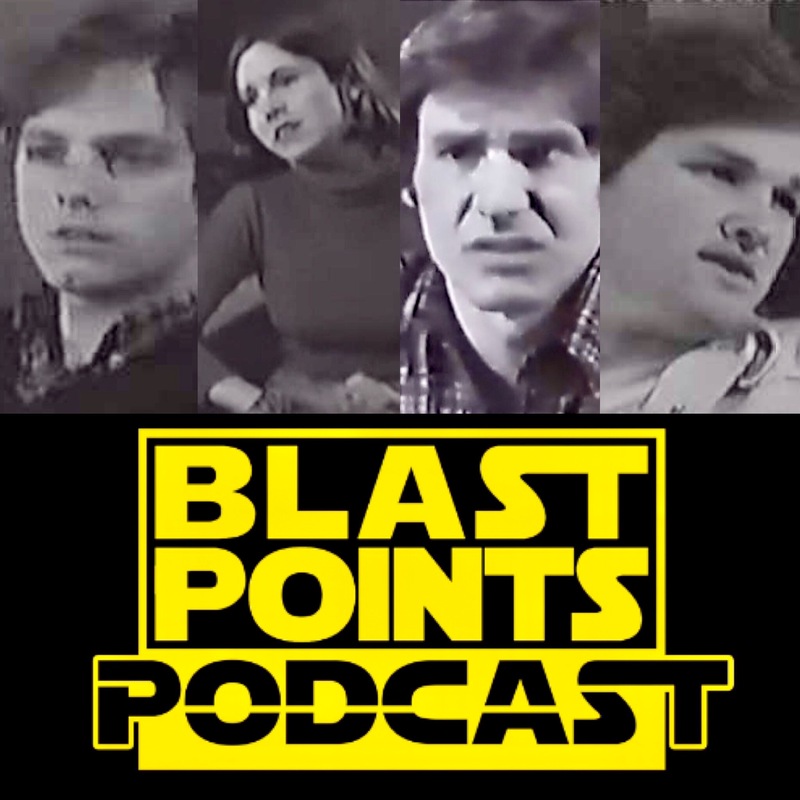 It sounds wild but it almost happened and this week Jason & Gabe play some of their audition footage audio and talk about who could have almost starred in Star Wars! And what does it have to with Charles Bronson, country music and Jackie Chan? Before all that, there’s a recap of the week’s news with the Han Solo cast photo, Rogue One on home video, Celebration stuff and the rumor that just will never go away. It’s a laugh filled hour where we celebrate the love so listen today!! This week, Jason and Gabe take a look at one of the greatest, grooviest and rarely heard musical moments in Star Wars history, Dan Whitley’s Rebel Force Band! Released in 1977, the album Living in These Star Warz features amazing songs like “Ballad of Obi-Wan”, “Chewie The Rookie Wookiee” and “Respirator for Darth Vader”. This album is everything we want in groovy Star Wars tunes and more. We go through each song and give a little bit of history on how we discovered this gem and how it ever happened. Before all that rocking out, there’s the latest news with talk about Wedge in Rogue One, the Han Solo movie starting filming, the future of Lando and some interesting theories on The Last Jedi. So listen today, don’t fall in love with an android, put on your dancing shoes and celebrate the love with BLAST POINTS! Take a trip back to 1997 as Jason and Gabe remember all the hype, insanity and good times that was the Star Wars Special Edition. How many times did Jason see it in two days? Did Gabe discover anything new while watching the old VHS tape again? Just how much Taco Bell did they eat to get all those awesome little Star Wars kids meal toys? Before that there’s Gabe’s thoughts on the Disney Star Wars Land & his one on one with E.T. 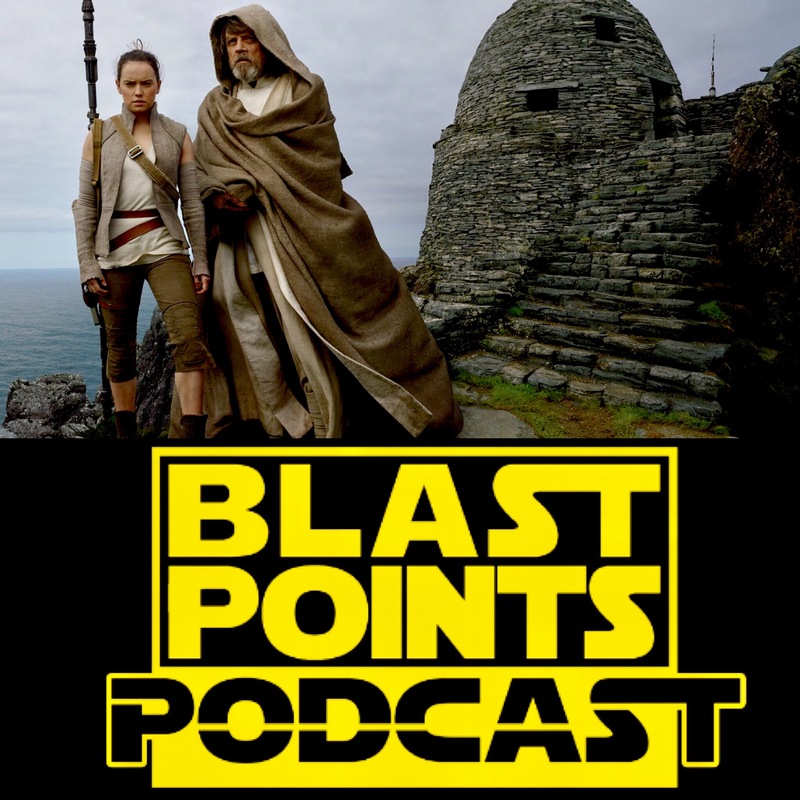 after his recent trip to Orlando AND they both discuss the many, many possibilities of the Episode 8 title, THE LAST JEDI! 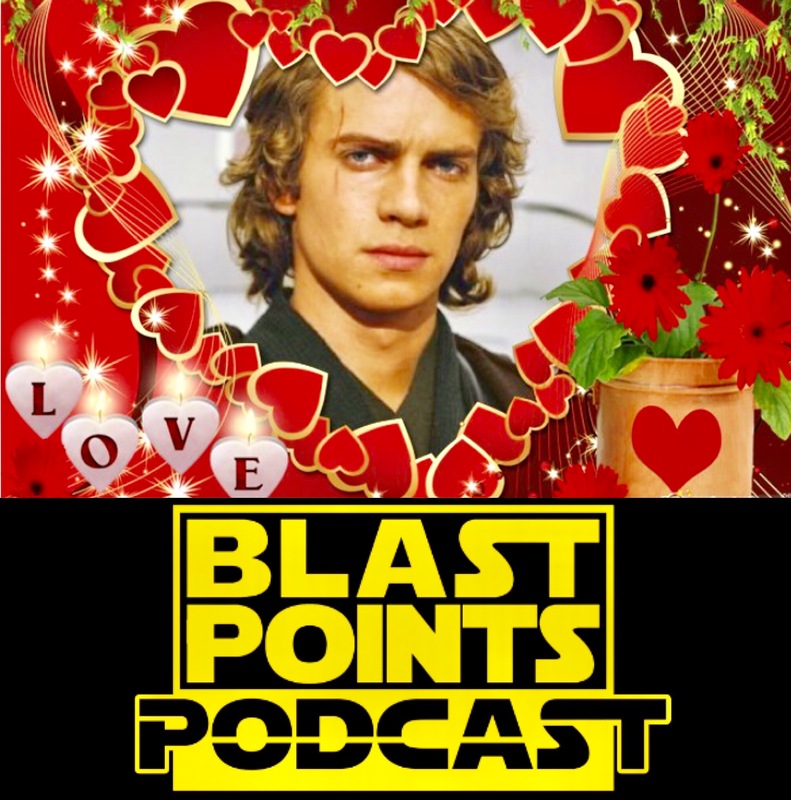 So get comfy, grab your Ronto action figure and celebrate the love with BLAST POINTS! This week, Jason & Gabe take a deep look at one of the greatest mysteries of Star Wars, The Whills. Though they have been almost in Star Wars since George Lucas’ first drafts, the name Whills been spoken about on screen until Rogue One. 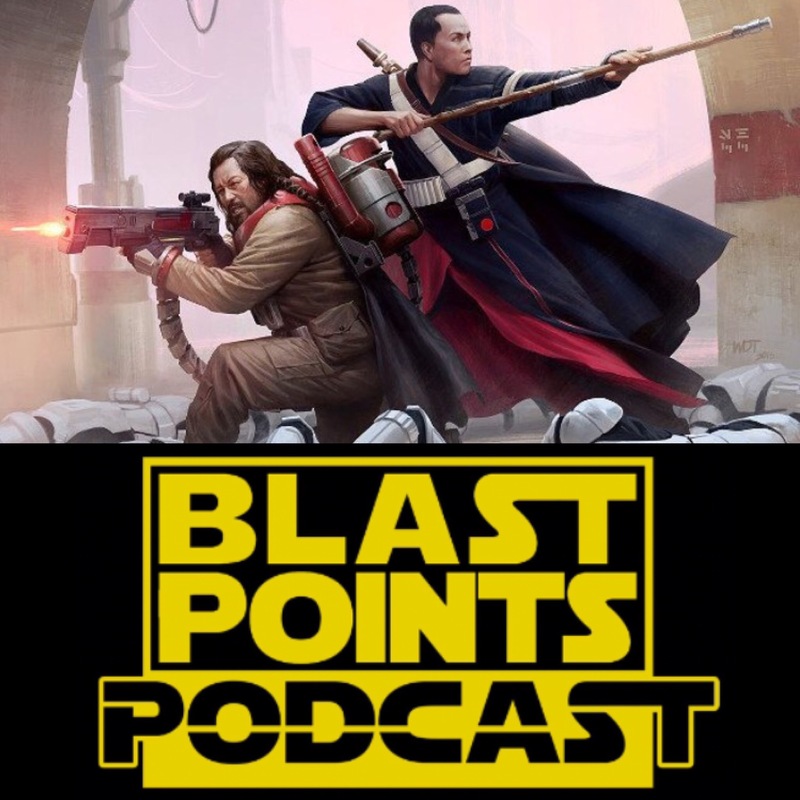 Blast Points goes in depth with their history, possible meanings and theories on what they may have to do with the saga’s future…. Before that there’s some news on if Woody Harrelson is playing a certain character, a blurry look at Episode 8 Christmas ornaments, an emergency broadcast on breaking news, and the story group talking Rogue One secrets! So learn the great gift, celebrate the love and listen today! This week Jason and Gabe take a look at the weird and wonderful Star Wars toy commercials of the 1990s! It was a time when Luke and Han had giant muscles and everything was BIG & BLAZING!! Hear them talk about being fans in that era, how Star Wars toy crazy they were then and just how much Jason paid for a Lando figure and a French Speeder Bike back then! 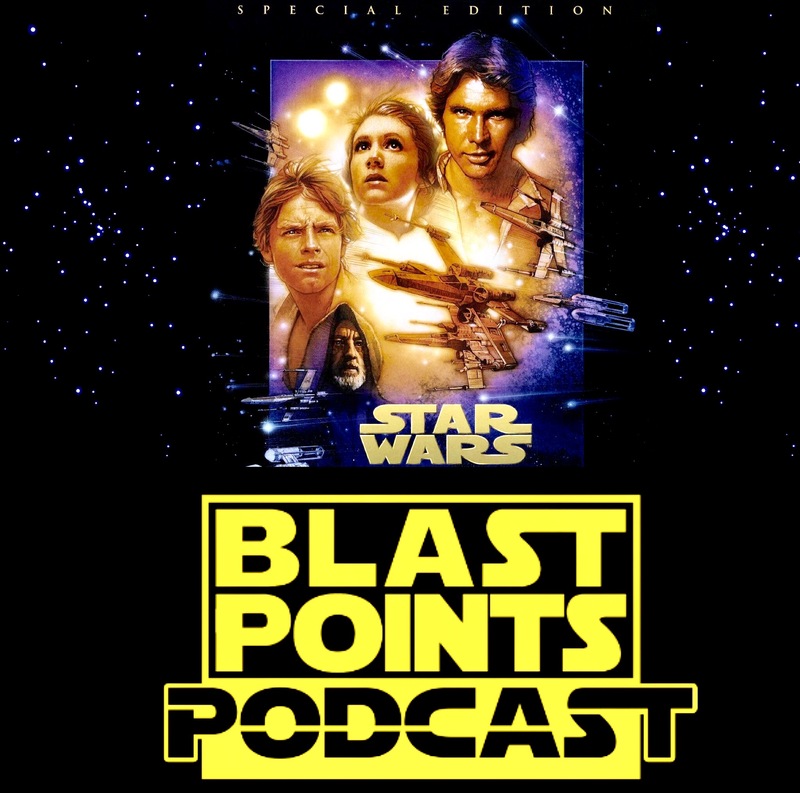 Before all that there is the news with Donnie Yen playing piano, Han Solo stuff, Rian Johnson talking Episode 8 and news on Blast Points going to Disney World! So celebrate the love and listen today!